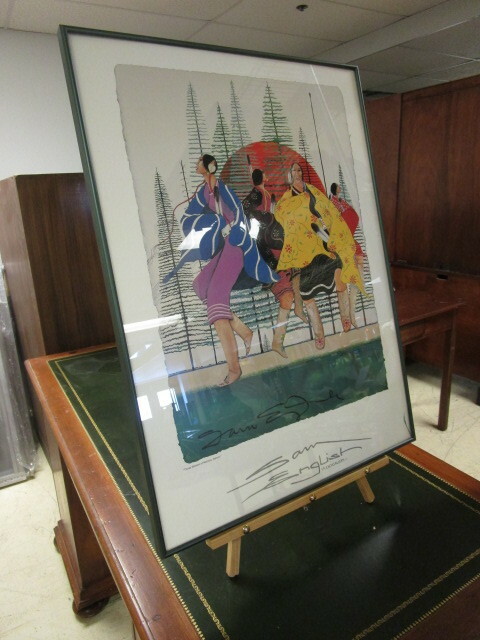 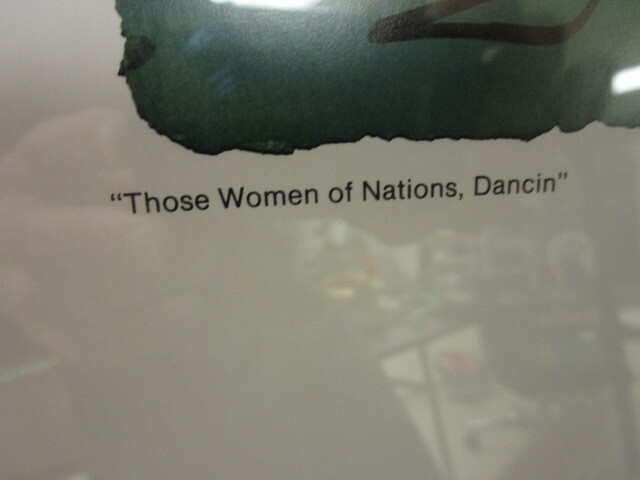 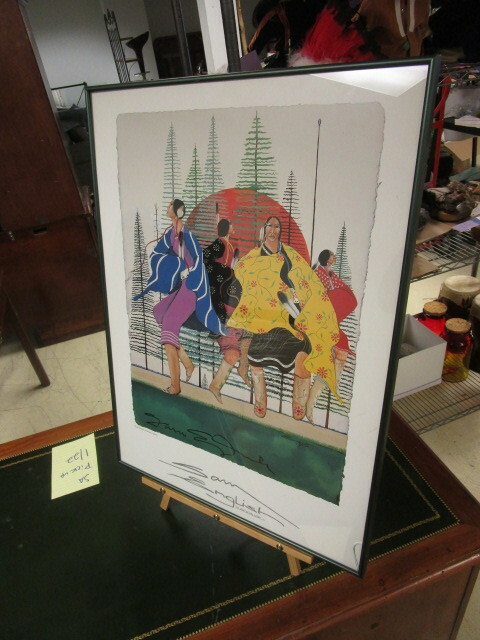 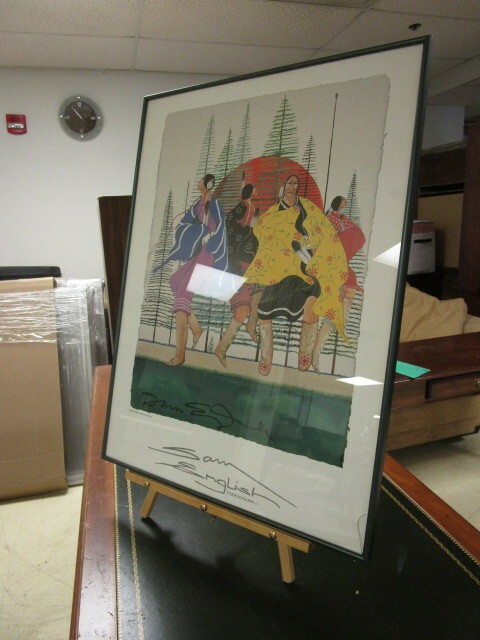 Framed Sam English Native American Limited Edition Print titled "Those Women of Nations Dancin" -- #5/96. 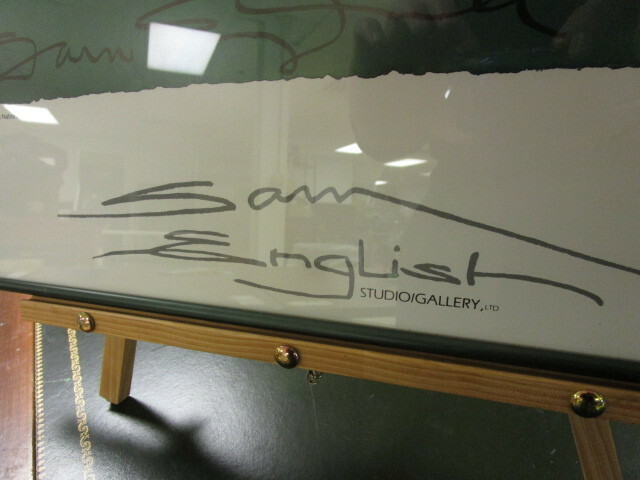 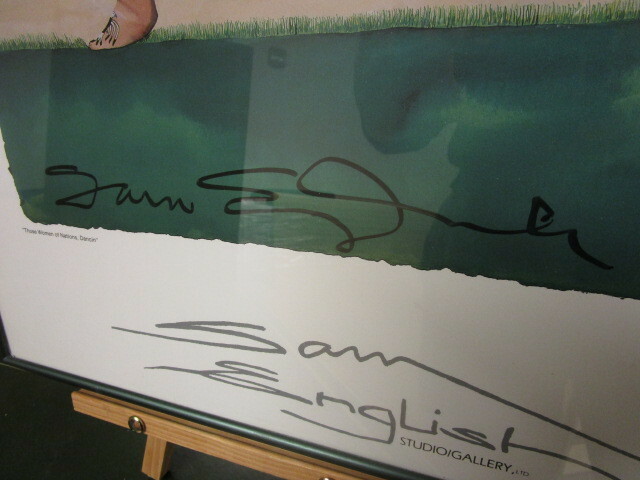 Print is hand-signed by artist Sam English. 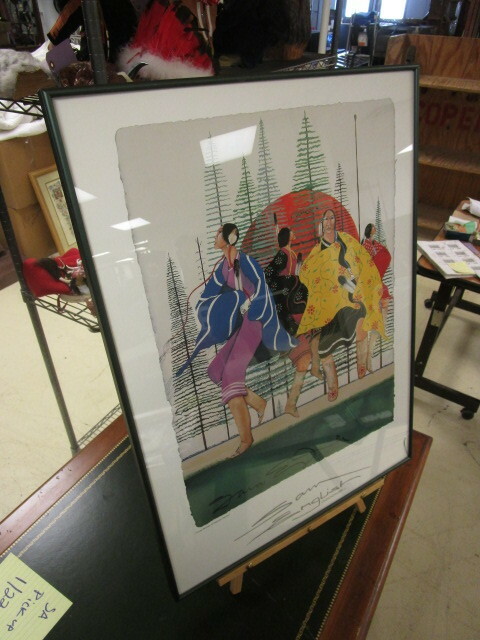 Framed print measures 20" x 27". 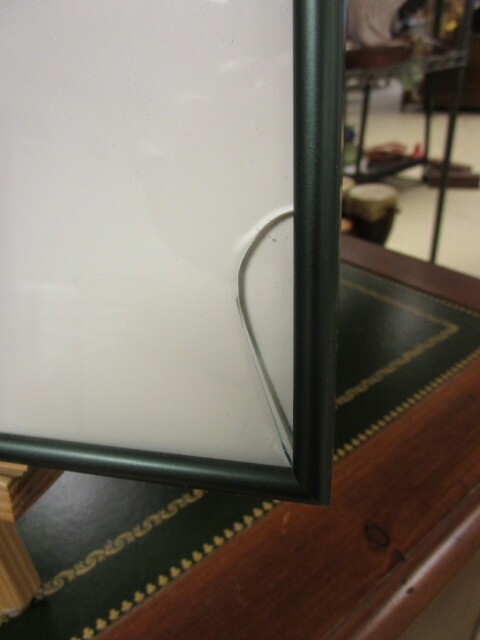 Print has a crack in the lower right corner of the glass, apart from that item is in nice condition.